The UCL Bartlett School of Environment, Energy and Resources is comprised of four Institutes, Energy Institute, Institute for Environmental Design and Engineering, Institute for Sustainable Heritage and Institute for Sustainable Resources, that deliver world-leading teaching, research and policy support on the challenges of climate change and energy security. We have an exciting opportunity for an enthusiastic Research and Contracts Administrator to join the administrative team to support the activities of over 90 research staff. The post holder will support the delivery of grants currently valued at £23.5m and the submission of new proposals. This role will provide pre and post award support across a range of grants and opportunities including those funded by research councils, international and national government bodies, the EU and significant industry partners. The post-holder will support the Senior Research and Contracts Administrator with pre- and post-award processes. The post-holder will engage in a range of activities including the supporting of contract completion, financial monitoring, reporting and other grant project related activities. Our ideal candidate is expected to be educated to at least A level standard or with equivalent education or experience and have strong interest in university administration.They will possess excellent IT skills, be adaptable to and enjoy using new systems including collaborative work tools and central college resource systems. In addition, the role holder must have strong verbal and written communication skills with an ability to build positive working relationships. Importantly, they will need to be a committed member of the Professional Services Team and balance this requirement with working effectively individually. When writing your personal statement please clearly address each of the essential and desirable criteria where possible. 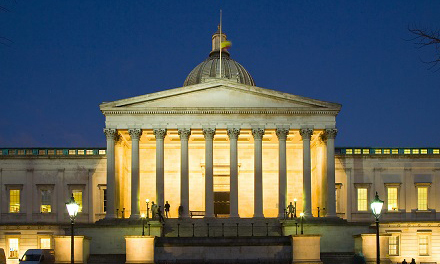 Please use these links to find out more about the UCL Terms and Conditions related to this job, employee benefits that we offer and further information about UCL.